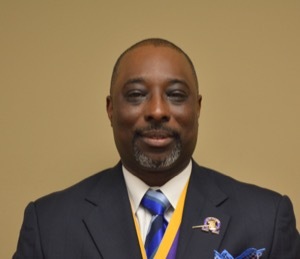 Basileus Welcome – Pi Omega Chapter of Omega Psi Phi Fraternity, Inc. Thank you for visiting the website of the Pi Omega Chapter – home of the Charm City Ques. I, along with the brothers of this chapter, welcome you. The Pi Omega Chapter is one of the oldest chapters of the Omega Psi Phi Fraternity, Inc. Our chapter has been a mainstay in the Baltimore community since 1921. Our Fraternity center is located in the heart of West Baltimore at 2003 Presbury Street. It is here that our body of 200+ college educated African American men carry out our mission to exemplify our Cardinal Principles of Manhood, Scholarship, Perseverance and Uplift to positively impact the City of Baltimore. We are a serving chapter focused on uplifting our community. We hold an annual health fair – The Staying Alive Health Festival – at our Fraternity center. We partner with corporate, government and community organizations to provide free health screenings and services for men and women. Omega Baltimore Foundation provides safe haven at Easterwood Recreation Center for our children to learn, recreate and grow. We provide an environment where Baltimore youth are mentored, tutored, fed and given an example of positive and successful African American men. Through the Pi Omega Foundation, we provide an annual scholarship to a deserving student slated to attend a Historically Black College or University. We encourage you to remain connected with us. We welcome you to attend one of our events including our Mardi Gras black tie affair held each February. We have a crab feast each August where you can eat, drink, dance and relax with friends and family. We also have a talent showcase, known as the Talent Hunt. This is an opportunity for talented young artists and musicians to display their remarkable gifts and creativity. Again, thank you for visiting our webpage. Please reach me at PiOmegaBasileus@oppf.org should there be anything I can help with.